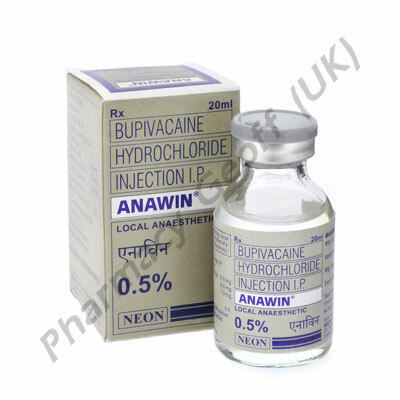 Bupivacaine Injection (Anawin or Sensorcaine) is a common form of medication to help numb areas of the body. This may be when a woman is giving birth, before a person goes into surgery, and even when someone is having work done at the dentist. Bupivacaine is given in an injectable form and the dose will vary based on the areas to numb, the weight of the patient, and how well they are responding to the medication. During labor it is often given in the back, known as an epidural. When getting dental work it will be injected into the gum line. Bupivacaine Injection on numbs particular areas of the body and it means that a person isn’t going to be completely put out. They will still be awake and alert for the procedure that is taking place. It is important to tell your doctor about any forms of medicine you may be taking. If you have any allergies to foods, dyes, or medicines make sure you share those details. Some individuals with serious health problems including liver disease, kidney disease, epilepsy, and diabetes may not be able to take Bupivacaine Injection. The overall health assessment of the individual will have to be taken into consideration. Those with low blood pressure or thyroid problems shouldn’t be given this type of medicine. It is possible that the use of Bupivacaine Injection will make a person dizzy or drowsy. As a result it is best to have someone that can drive you where you need to go. For example when you are getting this type of medication at the dentist you shouldn’t drive home afterwards. There are some side effects that may occur. They include ringing in the ears and seizures. They are very serious and immediate medical attention should be given under such circumstances. Women who take it during pregnancy may notice that it takes longer for the delivery to occur. Some people experience back pain, nausea or vomiting, changes in vision, headaches, and shaking after they have been given Bupivacaine Injection.